We hope that the following inspirational quote regarding failure will help and motivate you especially if you are going through a bad time, like myself. We all feel lost at times, unable to cope with the demands of daily life. The pressures can come from family, work or other areas. Believe me when I say that I have been there with you. I just hope that the following quote can help give you some direction and more important make you feel that you are in control of your life once again. I find that inspirational quotes do help and remind me not to give up on myself and I hope in some way this will help others who might be in the same place. With regards to the quote, I totally agree with it. To do something that you love and be paid for it is an absolute privilege and dream for all of us. Then we will be so passionate about it and also be great at it. 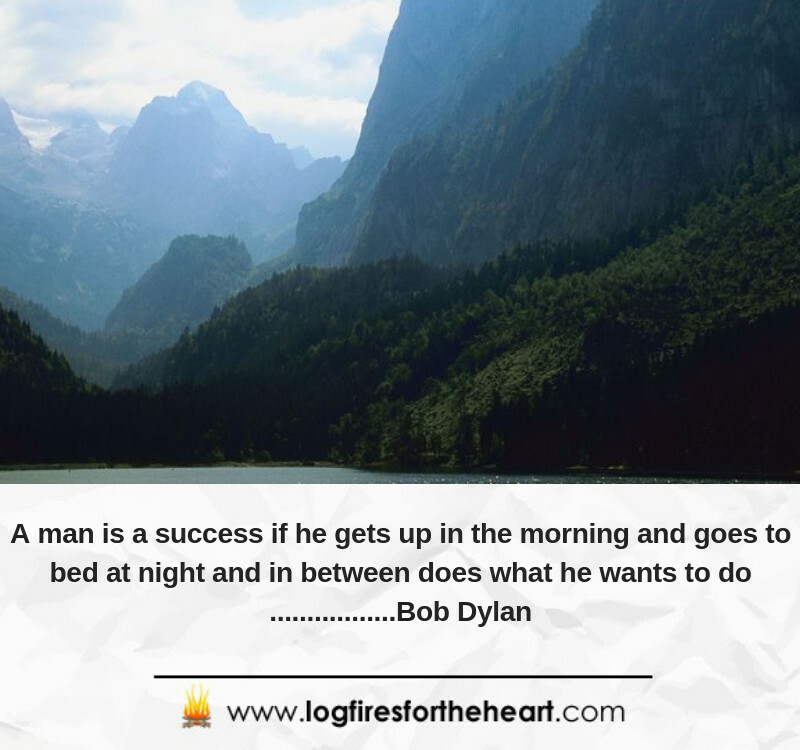 Bob Dylan: He is a famous an American singer-songwriter and author who was born in Minnesota He is widely regarded as one of the major figures in popular culture. Known for his famous songs such as Blowin’ in the Wind and The Times They Are a-Changin’ (1964), which became anthems for the Civil Rights Movement. Bob Dylan is by far one of my favorite lyricists, he manages to write songs that are always incredibly emotionally moving. While I understand the context of this quote I think there’s an opposite side to it as well. I think plenty of people are successful in the respect that they do things they don’t want to do which later enables them to do things they do want to do. If we all just woke up and started knocking back beers at 9:00 in the morning I doubt many people would get very far in life! First you might have to spend days/weeks/months building a business or figuring out how to earn money before you can do those things you specifically want to do. Either way a great quote and always love hearing from Bob Dylan! Boy Bob Dylan did have it right didn’t he. He also achieved that quote in life I believe. We all have that same dream especially if we are entrepreneurs . We get into business for ourselves because we want to be able to get up in the morning and close our eyes at night knowing that we did what we wanted in between. I love inspirational quotes sometimes they are the one thing that keeps me going along my lifes path when it gets rough. Thank you for sharing. POWERFUL site!! I found myself Playing all the videos!! (I want to learn how to do that ‘intro thing’ that you’ve done here). My Favorite?? Yin and Yang! Because some days are GREAT, and others… not so much! Oh Oh… I’m Know listening to Failure Should be our Teacher… that one may take top spot now! 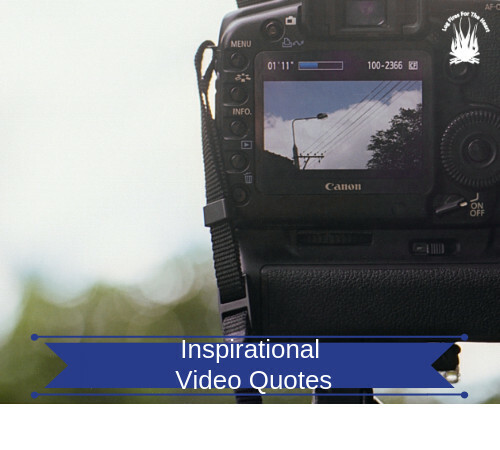 The videos, and messages they send are short, yet very powerful and to the point. I find these to be more beneficial than someone going on for 45 minutes, when it can be said in 2 minutes!! I have bookmarked your site!! I will be sharing it with a few people I know!! Thank You for this!!! Thank you so much for your kind feedback. I do appreciate it, because it makes all the hard work worthwile. I made the videos short because I have found that people will tend to view them far more, than longer videos. Thank you for telling me this in your reply. Glad you enjoyed the site. Wow. What a word. A man is a success if he wakes up every morning and does what he loves or has passion for during the day, makes a living, and then comes back home to sleep. I believe that as short as that quote is, it’s a fact of life. Success is not dependent on how much you have but doing what you have passion for. I agree entirely with the quote. Find your passion and it will never be termed work. In most cases you will be good at it and also well paid for doing it. That’s a great quote. It’s more profound than what it seems on the surface too. The “in between does what s/he wants to do”part I suppose is really referring to the ultimate sense of freedom. Are we really doing what we want to do? Thank you for posting and I sincerely appreciate you sharing your story. It means a lot. I also find inspirational quotes can work well to motivate me when I’m finding the going tough, too. I have a selection of them saved in my phone and if I need a bit of a kick in the pants I’ll put one on my phone as a screen saver.